يقع Regal Apartments في منطقة مشهورة للغاية في المدينة. هذا الفندق هو من الخيارات الشائع بين المسافرين. يسهل الوصول إلى هذا الفندق ذو 4 نجوم من المطار، فهو يبعد عنه مسافة 9.5km فقط. يضفي محيط الفندق اللطيف وقربه من أكثر المعالم السياحية جذبًا سحرًا خاصًا على هذا الفندق. إن الخدمات التي يقدمها Regal Apartments تضمن للنزلاء إقامة مريحة. لضمان راحة ضيوفه، يقدم الفندق الخدمات التالية: واي فاي مجاني في جميع الغرف, خدمة حجز التذاكر, تسجيل وصول/خروج سريع, تخزين الأمتعة, واي فاي في المناطق العامة . لقد جهزت هذه الإقامة الفندقية بعناية فائقة لتوفر مستوى عالي من الراحة. في بعض الغرف يجد النزيل تلفزيون بشاشة مسطحة, بياضات, مناشف, إغلاق, اتصال لاسلكي بشبكة الإنترنت (مجاني). يقدم الفندق مجموعة واسعة من وسائل الراحة المتنوعة، كمثل: حديقة. مهما كانت أسبابك لزيارة المدينة، فإن Regal Apartments هو الخيار الأفضل لإقامة مثيرة وممتعة. جميع مدفوعات البطاقات الائتمانية/المدينة التي تسدد مباشرة إلى شقق ريجال، ستتكبد 1.5% رسم معاملة البطاقة الائتمانية. في حالة تسجيل الوصول المتأخر، سيطلب العقار إرسال نسخة من بطاقة هوية سارية وبطاقة ائتمان سارية (بشرط أن يكون الاسم الوارد فيها مطابقًا للاسم الذي تم به إجراء الحجز) عبر البريد الإلكتروني قبل الوصول. 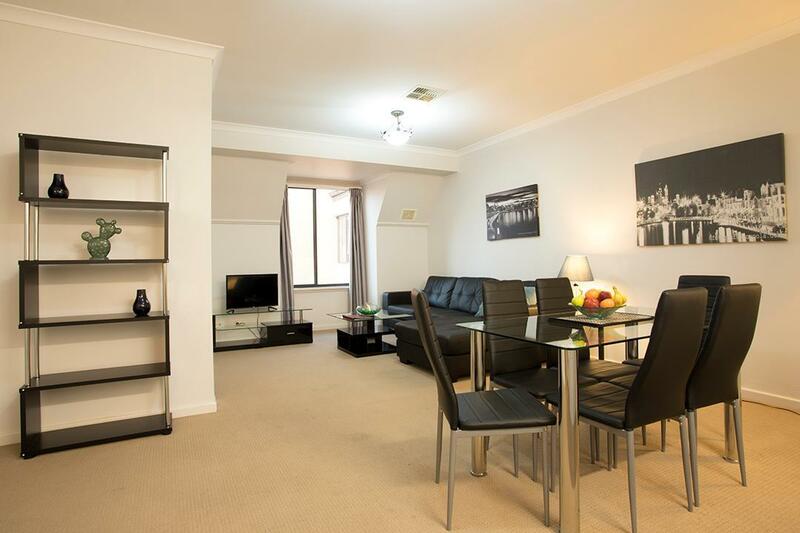 Regal Apartments are in an excellent location close to CAT bus services, fast food and IGA. All literally a few minutes walk. We got a good deal for a 2 bedroom premier apartment through Agoda, wouldn't pay full price for what you get. The room itself was very clean and the entry to reception is very nice. But the lift and carpeted areas to the apartments looked in desperate need of a vacuum every day of our 4 day stay. The kitchen had toaster, kettle, 1 wok, 2 pots, rice cooker plus some other utensils. It was difficult to cook as there was no frypan. Parking was an additional $22 a day which you basically have to pay if you have a car. There is street parking but it has a 2 hour limit and there is a multistorey carpark across the road but unsure of costs. Overall we loved the location. There are lots of parks, gardens and the river close by and it is very quiet. Would recommend Regal Apartments if you can get a good deal on the rooms. The place is clean and location is close to public transport. There’s a convenience store just 3 mins walking distance. The staff was really nice to help us store our luggages for 2 days while we were on our road trip. Thank you!! Easy to find, well placed for access to city by bus. Secure parking. 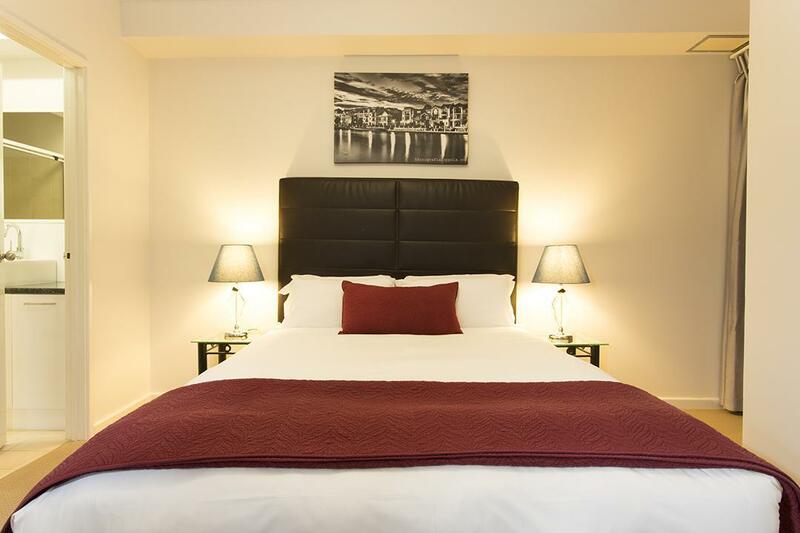 Clean and comfortable with all facilities with plenty of room for 3 people. Staff efficient helpful and friendly. Very pleased with Regal. We enjoyed our stay. Tip top facilities, good location, easy to travel around and very helpful and friendly staff. Regal Apartments is having an excellent location within a minute of walking distance from the free Yellow Cat Bus Station & supermarket. Basic facilities required by a traveler are all provided. Moreover it has very helpful and friendly staff. We had a good comfortable stay. Good location not too far from the CBD. Free parking was great as it is very expensive for parking around the city. We booked a 1 bedroom apartment and ended up a two bedroom so that was nice. Friendly staff who provided a great service for very easy check in and out. The room was cosy and warm during winter. Location is good, quiet at night, plenty of street parking nearby, near to Yellow CAT station. It will be better if the kitchen utensils can be changed especially the pan. The receptionist was very helpful and friendly. They responded promptly to our request. Will consider to stay again. Wouldn't stay here again, even if it was paid for. The best thing about this hotel was the IGA around the corner. Overall the stay was good with a perfect location close to the city. However the free wifi was terrible and we couldnt connect for the full 4 days and had to buy prepaid cards for internet. Convenient location just a short bus ride from the central shopping area. Yellow Cat (free bus on a city loop) stops 50m from the front door. A great price for the space provided. After hours check in was straightforward. Appliances, furnishings and fittings were all well maintained and very clean. There is a small IGA supermarket across the road that stocks everything we needed at reasonable prices - otherwise, we caught a bus from a few blocks away on Adelaide St, that took us to Belmont Shopping Forum where there is a Woolworths & an Aldi, along with Best & Less clothing and other stores. A 10 minute walk from the WACA and a 15 minute walk to the Perth Mint. Nice place, easy to find, and close to supermarket and few shops. Hotel is a bit dated but had all features and comforts you would expect for a small apartment. Iron and ironing board was a blessing. 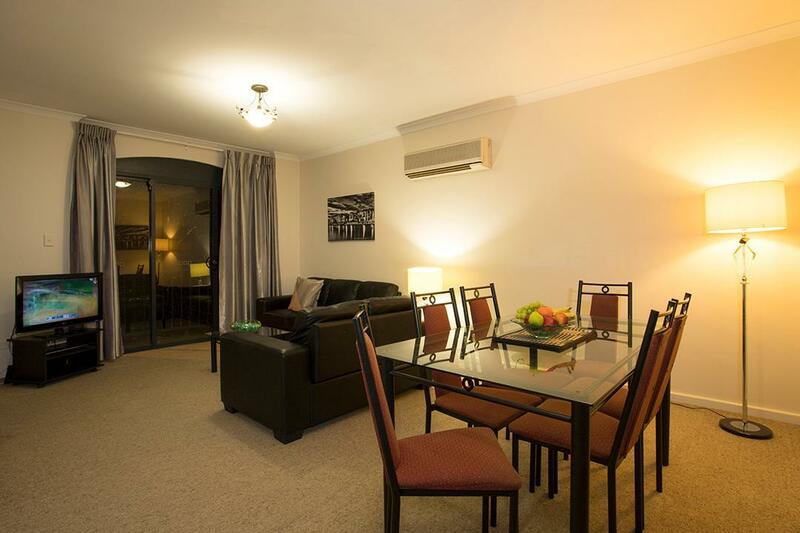 I would recommend this place for travellers who like a little privacy from the city, it is in east perth therefore it is on the outskirt of the city, altho not that far off from CBD. The apartment comes complete with kitchen amenities and other things like dryer, washing machine, iron board etc. Location wise, its 3 mins walk to a local supermarket, some restaurants, and free public bus stop is 5 mins walk distance. I have stayed here with my family for 5 times here and i dont think we would look at others anymore. Good location, the building is secure, there is a super market 50m away, and a good Italian restaurant next to the super market. Negatives: 1. You have to pay for parking ($20.00/day). When you book, the Agoda site says nothing about that 2. There is no 24 hour reception. So there is no control of who goes in and out. One evening, a stripper with a very drunk group of residents stepped out of the lift as we were going in with the children. Not desirable. Hope this was an exception. Our stay at Regal was pleasant with a relatively clean environment and great space for the 4 for us. The apartment has a living room, 2 bedrooms, bathroom and kitchen as well as a washing machine and dryer which is perfect for us since we stayed there for a week. Nonetheless, it would be better if they provided a change of towels and toiletries during that time. The self-check is convenient and the location is good. The bus stop is just outside the hotel and we could take the free bus service to the city center. There are also restaurants and a supermarket nearby. Overall, we had a pleasant stay there and will consider staying at Regal the next time we are in Perth. Wrong check out date. Car parking is expensive, yet assigned parking bay was occupied by others every night we returned to the Apartment. No wifi on the last day of stay. Had to make expensive calls to get things sorted out.